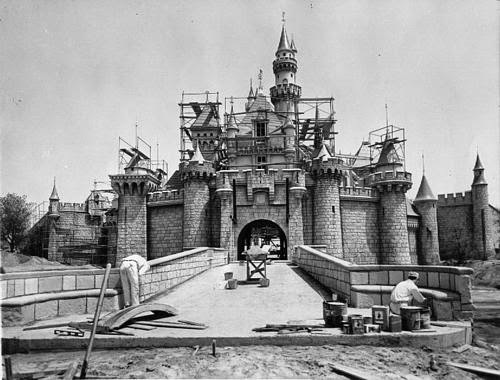 Here is what Sleeping Beauty Castle looked like back in 1955. 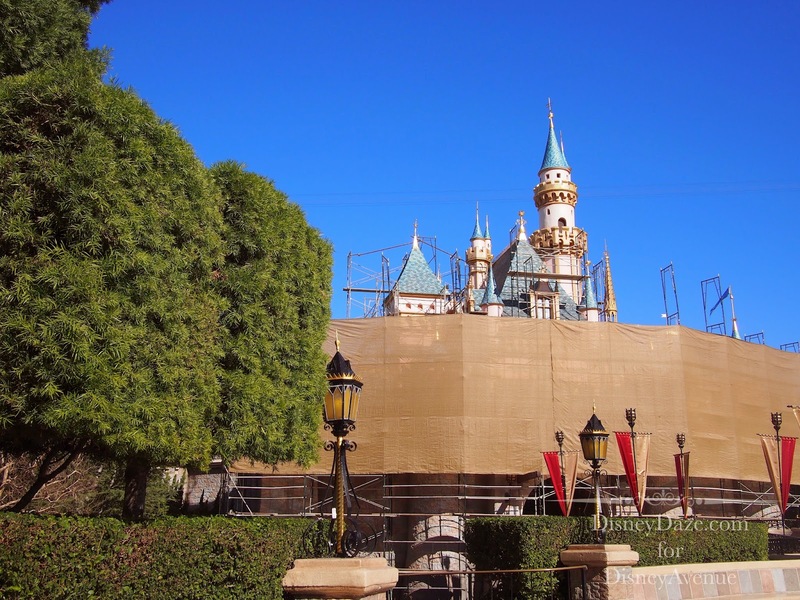 Since January, there has been a lot of work on Sleeping Beauty Castle. 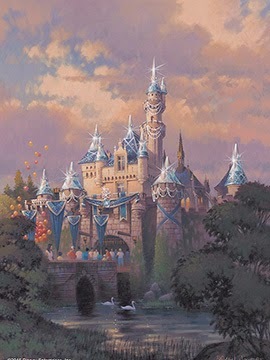 Here is the artist rendition of what the castle is to look like for its birthday celebration. 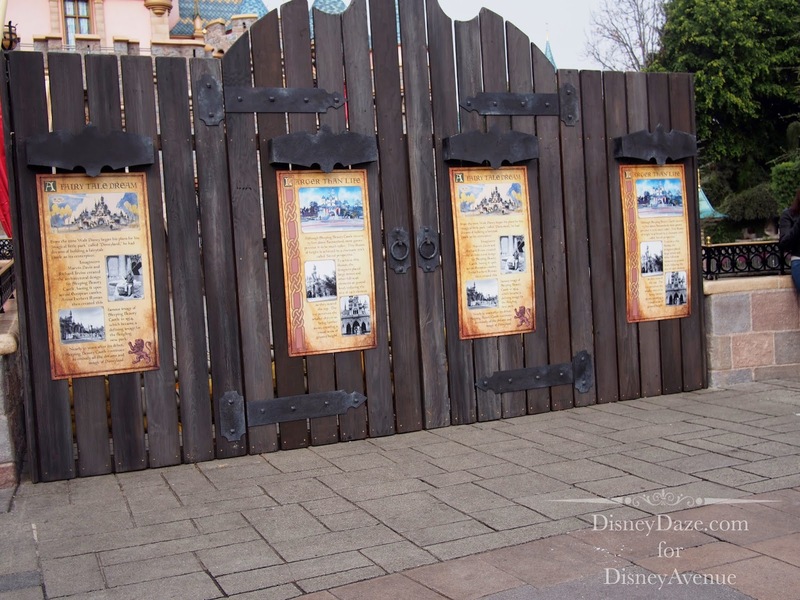 When the work first started in late January, there were these themed wood walls that had some castle history and information to read. 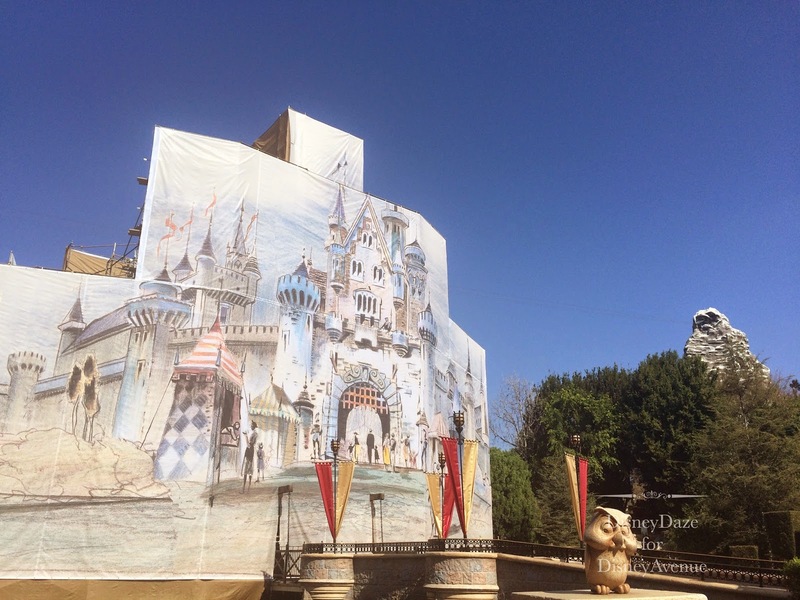 Beginning in March, the plain brown canvas was replaced with this really cool scrim that had the artist rendering (Disney Legend Herb Ryman) of the castle. It was only there a couple weeks but made for some great photos. 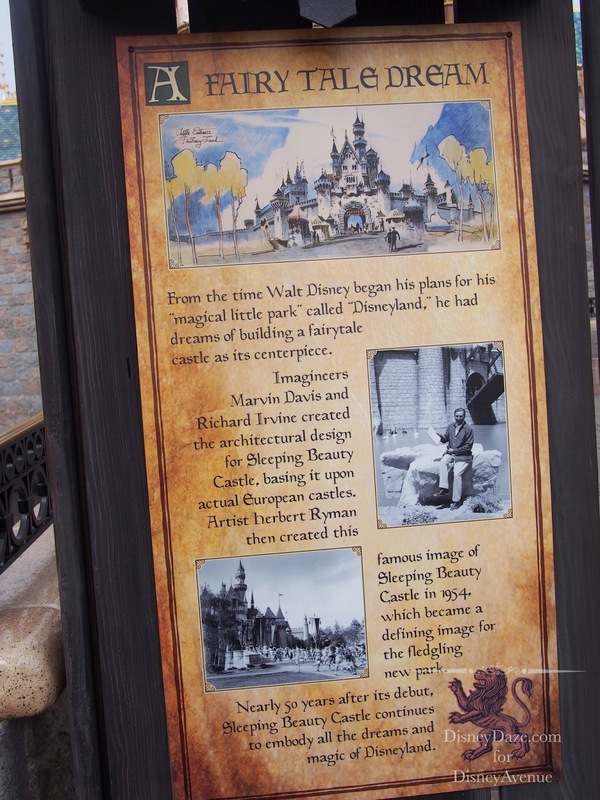 At least Guests could still take a souvenir photo even if it was just a really pretty, and classic artist rendering of the Disneyland castle. All the deep cleaning work was completed and scrim was removed. The castle looks pretty, bright and regal. This photo was taken on March 10, 2015. Every week seems to bring something new. First, there were the sparkly shingles and the silver bands. The blue and silver bunting on the castle walls appeared, too. 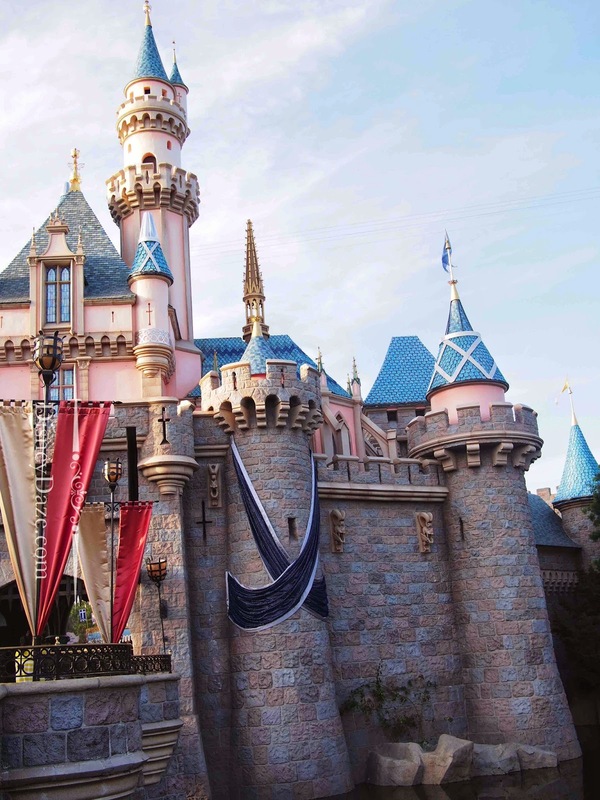 By the last week of March, more bunting and new Disneyland flags were placed around the area. These “castle caps” were placed over some of the turrets. I am sure will look pretty cool when lit up. Sometimes if the sun hits certain areas, you can get a shiny ping in your photos. 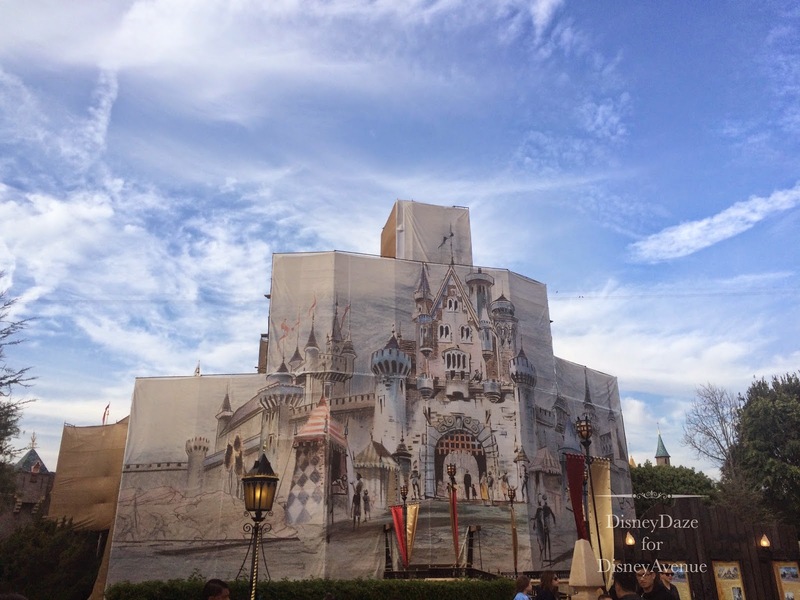 In the last two weeks, Sleeping Beauty Castle has literally gotten the bling treatment. 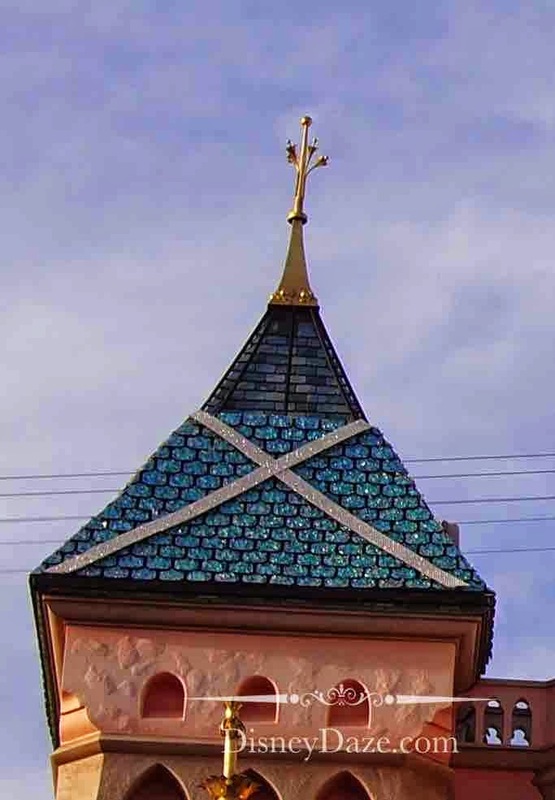 Different diamond sizes and shapes have been placed on certain parts of the castles. It’s like the castle received some custom diamond tennis bracelets placed around the turrets. Here is what it looked like the other night. My friend and I imagine and hope that there might some really great lighting effects to come through these “castle caps” for the fireworks or nighttime lights when the celebration begins. On a side note, the local paper had this post the other day. 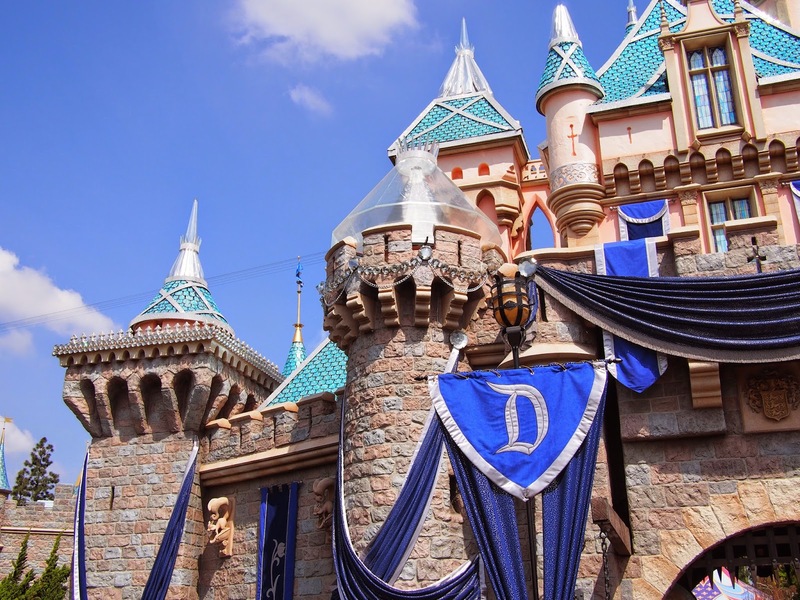 Apparently, there was a Disneyland fan on the freeway recently that spotted something that might be one more final decorative piece that belongs to Sleeping Beauty Castle for its 60th Celebration. I’ll be on the lookout for that piece when it gets placed. A couple days ago, Disney Parks released this video with some great behind the scene footage of how they created some of the Disneyland 60th Celebration decorative overlay that you see on the photos. 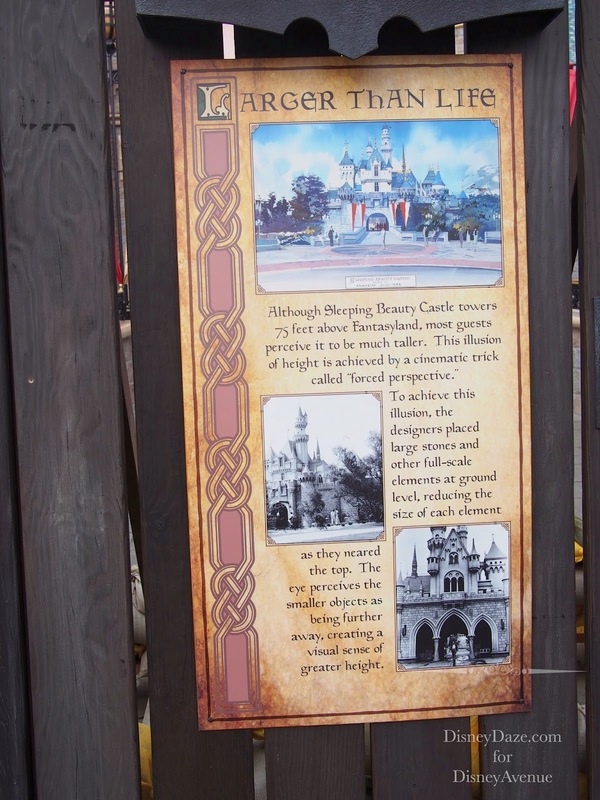 As petite as the Disneyland castle may be, it is mighty in the Disney heritage. 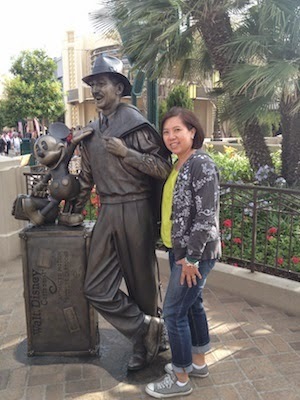 It is such an icon that it has been the basis for many Disney company logos including Walt Disney Pictures and Walt Disney Television. 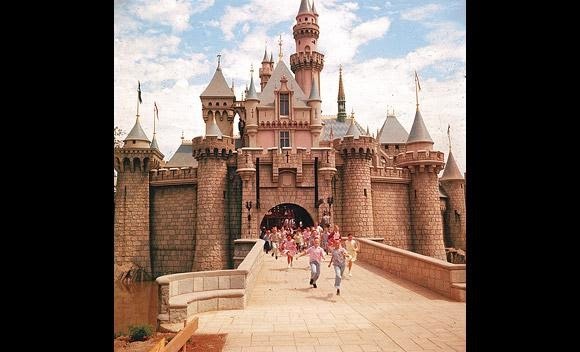 A lot of people are taken back at how small the Disneyland castle is when they see it for the first time. 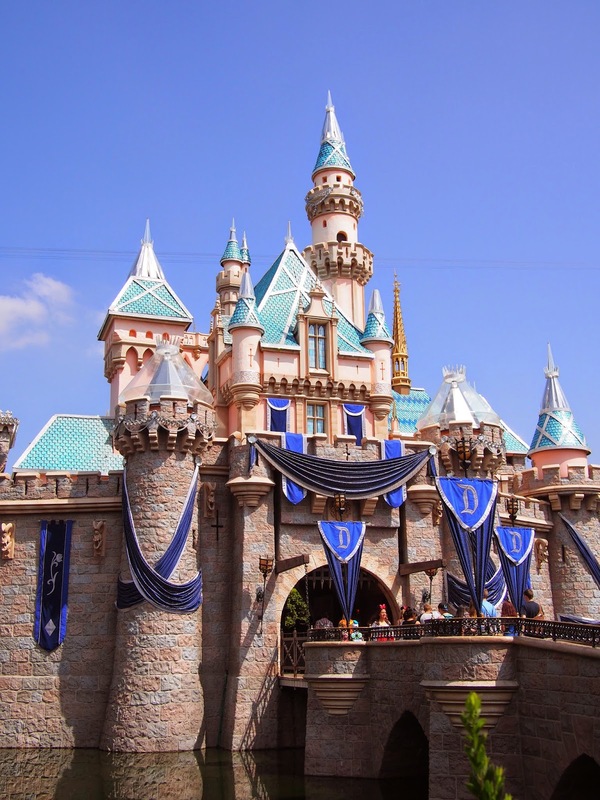 For many, Sleeping Beauty Castle still represents hopes, dreams, and pixie dust, too.